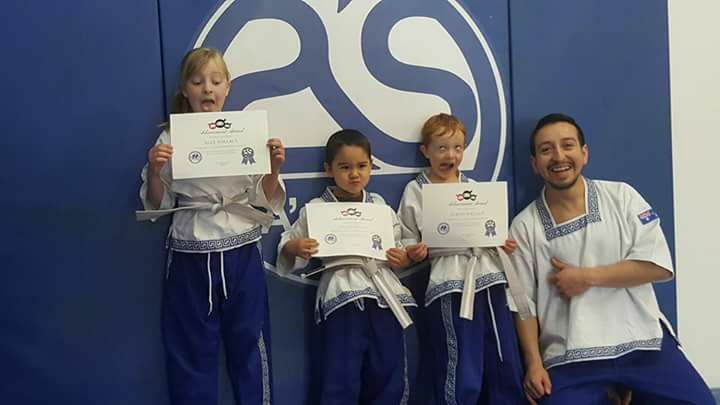 Our kids martial arts program is in the style of Pankration, which combines techniques and concepts from Kickboxing, Wrestling and Brazilian Jiu Jitsu. Said to have been practiced by mythological figures such as Hercules and Theseus comes from the acient Greek words "Pan" (all) & "Kratos" (might, power) which literally means "All Powers". This program will increase your childs coordination and people skills. It will also help them develop their confidence and challenge them each workout, but more importantly it will teach them respect, discipline and allow them to have fun at the same time. Register below to claim your FREE session.